Time has been flying on this end. So much to do in each waking hour and yet not enough time to address everything in a manner Grey or I are comfortable with. As of this morning, we have a new address in Boston. As of Friday, pods and car moving as been organized. As of last Wednesday, we've confirmed a management company for overseeing the rental of our condo. As of Friday, we are talking to the vet about flying Jaxson and Daisy to our new home. There's still a lot to do. I have to line-up daycare, we have to begin packing, we have to set-up some logistics to make sure renting goes smoothly and we can vacate. And we need to find someone to look in on Jaxson and Daisy. But as of tonight, the major things are out of the way. The foundation is laid. Now the rest of the pieces need to fall into place. Last Tuesday's decision to move has set off a chain reaction. Following Grey formally accepting his new position, we both informed employers of the news (long post on this later, but for now trust me when I say this hasn't been easy). In addition, we've met with realtors and property managers, making the decision to rent our condo. Grey is also traveling soon to hunt for a new place to live and we are making arrangements to have our car shipped and our stuff moved/donated/sold. All of this has to happen before the end of August. Needless to say, there's a lot of stress and uncertainty at the moment. Finding information and making decisions has become priority one, all while wrapping things up at work. There's also a lot of emotions that have surfaced as we've been preparing to say farewell to a city that has been our home for the last 14 years. Lots to do; not a lot of time. But we're ready to jump. Today Grey officially accepted an offer for a new position. Start date next month. We're officially moving, packing, wrapping things up. And I get the pleasure of quitting my other jobs. * Trigger Warning: this post is me documenting a day at the daycare the Beats attend. There will be talk about babies and small children. As always, PLEASE do not read if you are not in a good place. There will be other posts. Please take care of yourself first. Back in March, I made a decision to work at the same daycare as the Beats. Though I rarely talk about money, the expense of having them enrolled in their center ($495 per week per child = $25,740 per year per child) was kicking our butts financially. The director practically hired me on the spot when I mentioned my interest and when Grey found out about the discount (50%) for employees, he just about fell over. Since March, I've been working 2-3 days a week as a floater. What floaters do is step in for the teachers in the different classrooms, providing breaks, time for curriculum prep and even acting as substitutes. Basically, though I don't have a particular classroom that I call home, I do know enough about the daily activities and schedules for all the rooms and all the kids enrolled there. Though seemingly simple, this position can actually be pretty difficult as your knowledge base has to be broader. That and the kids will test boundaries with the floaters in ways they wouldn't dare with their normal teachers (and oh how many stories I now have of those moments). Anyway, a friend recently asked me what it was like to be a parent working at the daycare. Especially given my background as a lecturer at the university level. So I figured I'd share what has become a typical day. 8 am: Grey, the Beats and I arrive at the daycare. The Beats have gotten into the habit of stopping at the different rooms to say "good morning" to the infant teachers and the center cook. Then it's downstairs to their classroom for breakfast. Hands are washed and both join the table for a family style breakfast with their other classmates. Tables are low so that they can bus their dishes and get cleaned up on their own when they are done. Kisses and "love you"s are exchanged. I then chat with the teachers to determine their need for the morning. If already busy, I will go upstairs to clock in early to provide relief. If not, I have time for a quick cup of coffee. Grey and I walk back up to the lobby and say good-bye for the day. 8:15/8:30-9:15 am: Clock in. Most days I immediately go to the Toddler room, which is 12-20 months. There's is currently a mixture of more seasoned children and those who have just moved down from infants. I sign in to the roster and up to 7 toddlers will be sent over to me. Hand-washing for all 7 kids followed by turning on music and setting them loose to play. As they play, I will organize "My-Day" forms, filling in ones for parents who don't fill one out for their kids (sidenote: please do this if you have this available. This form is how most parents can communicate with the teachers. Too often we have parents who don't do this and then we learn critical information after the fact). Diaper log is started and I restock diapers and wipes for each child. Once room is organized and inventory is completed, diaper changes begin. At this point, I am either on my own or another floater will join me so that 5 more kids can come into the room (child-to-teacher ratio is 5-7:1; room capacity is 14 kids). Each diaper change takes a total of 5 minutes, including hand-washing with kids afterwards and sanitizing the table. The kids and I usually sing together in order to alleviate how much they hate the process. If I have another teacher, he/she will sing songs and read to the kids. 9:15-9:30 am: Toddler teachers clock on. The kids immediately run to these 3 ladies for hugs and morning greetings. The newer kids are beginning to learn this routine, crawling over to see what the fuss is. Teachers round up kids, one begins picking up while another starts circle time. The third checks in with me about finishing diapers, restocking paper towels/hand soap/cleaning solutions. If it is the end of the week we'll make a plan for doing laundry (all bedding and any dirty clothes). As circle time continues, the two other teachers will begin setting up for the morning activity and preparing for the toddlers to go outside. I sign out and head back to the office. 9:30-11:00 am: 10 minute breaks. Also fondly known as "tens." I find a manager and the other floater. We go through the list and determine who will cover who. Because the Beats are in the older toddler room, I can't be in there. Plan established, I begin giving teachers breaks, jumping in to continue discussions, read stories, continue small group activities, change diapers, feed infants and simply to play. In every room, all the children know me and now know the boundaries. Still, there's moments where they test to see what they can get away with, but generally the interactions are positive and fun. Somewhere in the midst of this I will take my break, checking on laundry and making sure things are moving along. 11:00 am - 12:30 pm: Lunch prep. Also known as "angry hour." This is where kids are starting to get both hungry and tired. I will step into a classroom at this point to help with lunch prep. Hand-washing for all; diaper changes for those rooms that require it. From 11:15-11:30 am, lunch carts arrive. Kids are seated at the table for family-style dining. In infant rooms, we serve hot-items away from for safety reasons, but otherwise the kids will serve themselves (in Toddlers and Preschool, we assist). After children have food, we serve ourselves and sit down to eat and talk with the kids. While one sits with the kids, another teacher is finishing clean-up and putting out cots for nap-time. Shades are pulled and calming music is put on. Kids will bus their plates, wash hands and use the bathroom. Books are handed out for the older kids for a few minutes of reading. Once lunch is completed, tables are sanitized, floors are sweep and mopped, trashed is taken out and bathrooms are cleaned. In toddler room, the focus is helping the kids fall asleep, with patting on the back and soothing. Books are collected and kids are left to quiet their bodies. 12:30-3:00 pm: Nap-time/Quiet time. One teacher is left in the room once most the kids are asleep so the others can take lunch. Though students are not required to nap, we do have a 45 minute period that they need to be on their cots before we provide puzzles or books. This period is a tricky one: some kids insist they don't need to nap and will do everything in their power to stay awake. These tend to be the ones who nap hard, crashing after 30 minutes and then sleeping through to 3 pm. We do have a couple who simply don't nap, so activities are provided for them. Testing is always high during this time, especially with new teachers. It is also during this time that afternoon activities will be finalized, more curriculum is prepped and any final cleaning (i.e. after vegetarian chili) happens. Somewhere in here, I will get my lunch break and go check on the Beats. 3:00-5:00 pm: Afternoon. Sometimes I will continue with "tens," but usually I will end up in a room as a teacher is leaving early for the day. More often, this has been an infant room, where I will pick up schedules, start diaper changes, handle bottles and feedings and simply spend moments covered in babies. There are a few new infants, who are more than happy to be held all day. Tummy time is encouraged, reading and singing/dancing is always a hit and exploration happens in many forms. It's usually around this time that parents call to check in, so we chat with them. This is also the period when passerbys will stop to "oh" and "ah" over the infants. Who knew that it's actually the infants who are "oh"ing and "ah"ing. By the end of the day, the babies start watching the doors. If bottles are scheduled, some will hold out as they know mom or dad is coming soon. For those that come earlier, there's always a production of shrieks and giggles. Some of the older babies will actually book it for the door, grinning the whole way. Good-byes and hugs are given. Full reports on the day (verbal and My-Day form) are handed off and small talk happens. This is also the point exhaustion is setting in. 5:00-5:30 pm: Clean-up and preparing to close. Final round of laundry happens (unless it's Friday) and I am given rooms to close. I've recently developed a reputation for being efficient, so I cover 2-3 rooms before the end of my shift. This includes taking out trash, bringing dirty dishes to kitchen to be soaked, sanitizing tables, bathrooms, cribs and all surfaces/toys, vacuuming, sweeping and mopping. If not cleaning, I usually in the rooms with the kids talking with parents and saying good-bye for the day. Many parents now know about the Beats and see me as an insider. 5:30 pm: Grey arrives and I clock out. We go to the Toddler room to collect the Beats. I chat with the teachers to get a final update on them and to see how things went in general. High-5s for another successful day are given. Beats carry their My-Day forms up the stairs and collect their boxes of raisins. Family loaded into the car and we commute home. It's been a strange couple of weeks, filled with anticipation and uncertainty. On the heels of She-Beat's surgery, there's been usual daily highs and lows with work and condo business (more on that later). But there's a finally element which I've been quiet about as I've been stealing myself and not wanting to get my hopes up. A few weeks ago, Grey followed the advice of a friend and connected with some headhunters. Surprisingly, this move has been extremely fruitful as they have connections to companies and opportunities we weren't even aware of. From this, two opportunities have emerged. One company has made an offer and the other is in the process of making a decision between him and one other candidate. This past weekend was a very emotional one for us. The news of this offer, though promising, made us take a very hard look at our lives and what we ultimately were willing to sacrifice for the future. There are some clear benefits for this first position, but ultimately it's not the one either Grey or I want. Between the compensation, the location and general lack of security that comes with it, there's not a lot we're willing to be flexible with. And with this knowledge came feelings of anger, frustration and fear. A sense of failure for something that is entirely outside of our control. These feelings are not new ones for us. 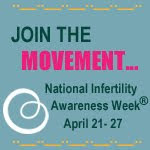 Infertility brought so many lessons about failure that we've both become skilled at facing the grief process. But what continues to surprise me is how much of this process we've been internalizing. How the "no"s lead to both of us questioning ourselves and our worth. That somehow we are less because of it. Midway through my graduate training, I picked up Lewis Carol's "Alice's Adventures in Wonderland." Though I know many are familiar with the story from a young age, its a read I highly recommend when one is facing a life crisis. Reading about Alice's adventures helped me find my footing during graduate school and push through the doubt and the worry. With all the craziness from recent events, I've been revisiting this story once again as I've odd situations and events that leave me scratching my head. Ironically, the themes with each crisis always fit nicely with Alice's journey. From the beginning of the story, with the metaphor of the white rabbit (the desired outcome or goal) and Alice following him down the rabbit hole, the pool of tears (first loss or realization that something is wrong), advice from the Caterpillar (i.e. "just relax" or "just adopt") to the Mad-hatter's tea party (first doctor's visit, the interview process) to playing croquet with the Queen of Hearts. Eventually, you'll come face to face with the Jabberwocky, in all of it's fury. Staring the monster in the face, you'll do battle, fighting with your whole heart while pushing through your own fear of failure and rejection. Monday ushered in a sense of calm as both Grey and I formulated a plan for moving forward. One reality we are both facing is that he will need to turn down this current offer and that the other will come back as a "no." Both will leave our family once again in limbo with this transition. Both will mean we will be taking a hard look at our road ahead. But there's also the possibility that this gamble will pay off. Already Grey has professionally connected with members from the second company, giving him access to them in the future. And in the fact that he had a whirl-wind interview almost immediately after he told them he was interested in applying for the position and the knowledge that there is only one other candidate they are considering, and it's so hard not to get my hopes up. All of it leaving me feeling very spacey. For now, I'm forcing myself to entertain thoughts of positive news. Taking moments to visualize a good outcome instead of stealing for the worst. Like Alice, I'm going down the rabbit hole. May the croquet game we're playing leave us with our heads.